Q#1: Are you a Bay Area Native? and if not, how long have you lived in the Bay? Cynthia: NO. I’ve lived here 3 years this month (Nov 2014). This is the 3rd time I have lived here. The first time in 1971 for 3 years (in the Haight). The second time, in 1983, for 12 years (in Western Addition). I was born in Wilmington, NC and grew up in upstate New York. Q#2: When did you start on the creative path you are currently on? Cynthia: I’ve been cooking off and on for 30 years – and my specialty is vegan and vegetarian food. I’m working on a line of vegan & vegetarian soups. But I really love catering – all kinds of dishes – especially in California, where most vegetables are in season all year long! Q#3: Where do you find your inspiration? 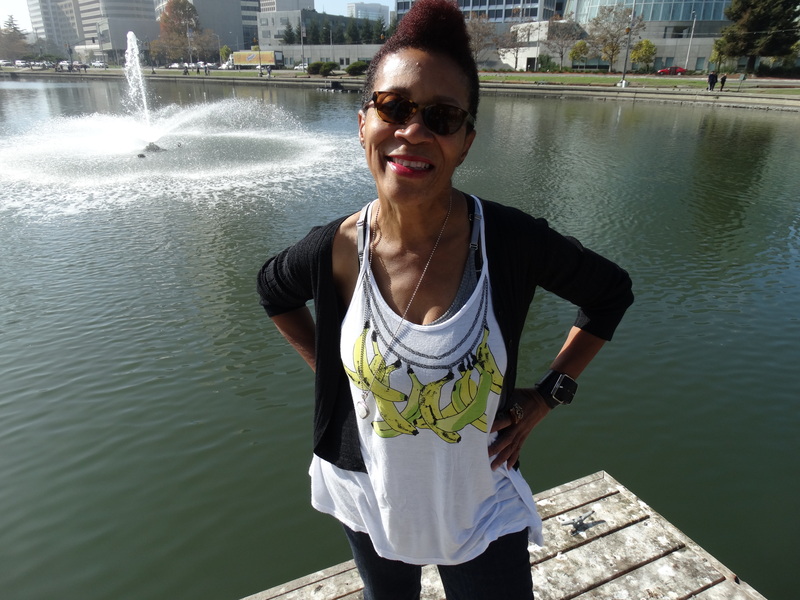 Cynthia: From positive vibrations: meditation, reading, writing in my journal, and from intelligent, nice people. Q#4: What was the first piece of vinyl you ever purchased? Cynthia: Wes Montgomery – A Day in the Night – it’s how I got started loving jazz. I used to think it was Sunday music, but that quickly spread to every day of the week. Q#5: Anything else you’d like to share? a joke/quote? Cynthia: Never listen to the naysayers. And my favorite: when one door closes, another opens.